Elite Trainer, Aaron Guy believes that metabolic exercises, a balanced nutritional program, stress reduction and proper rest and recovery are the foundation to your healthy lifestyle program. 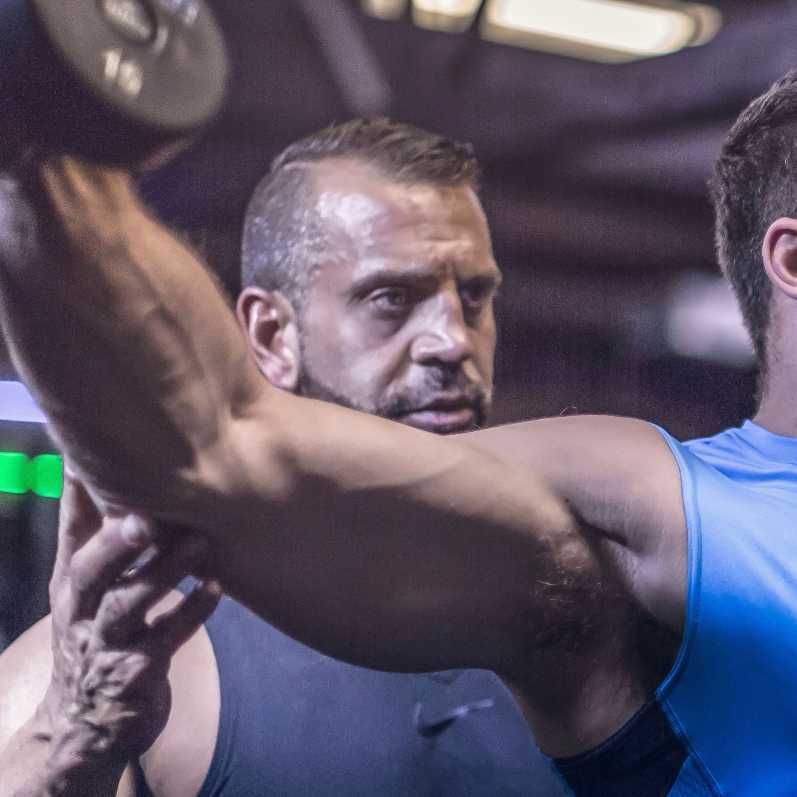 As your fitness and lifestyle coach Aaron will provide you with unparalleled direction along with the tools to safely and successfully accomplish your fitness and lifestyle needs. By effectively looking at your overall lifestyle, Aaron can make the necessary adjustments to incorporate the proper tools to effectively and safely help you reach all of your fitness goals. By teaching your body to become more metabolic thru proper movement, nutritional guidance and stress reduction you can transform your body into a metabolic machine. This process allows your body to become more effective at burning body fat and building lean body mass when you are NOT at the gym. Are you ready to take your fitness to the next level? Aaron has trained a highly professional and discerning client base that has included an Executive Producer for "The Oprah Winfrey Show", The Senior VP for Gap, North America, the CEO and owner of Molitor Financial Group, an Executive Vice President for Weber Shandwick PR, a renowned PhD, author and Department Chair at the University of Chicago, a Boston Marathon Competitor and a Division I Big 10 College Athlete. - Coached by IFBB Pro and Illinois NPC Chairman, Chuck Sanow for over 3 years and through 3 NPC Bodybuilding Competitions.